It’s always good to see ACTS Education Program Leaders (EPL) engaged in their communities. As Martin Luther King, Jr. said, “Life’s most persistent and urgent question is, ‘What are you doing for others? '” Are we each using our one life to make a difference — a difference for the Kingdom. 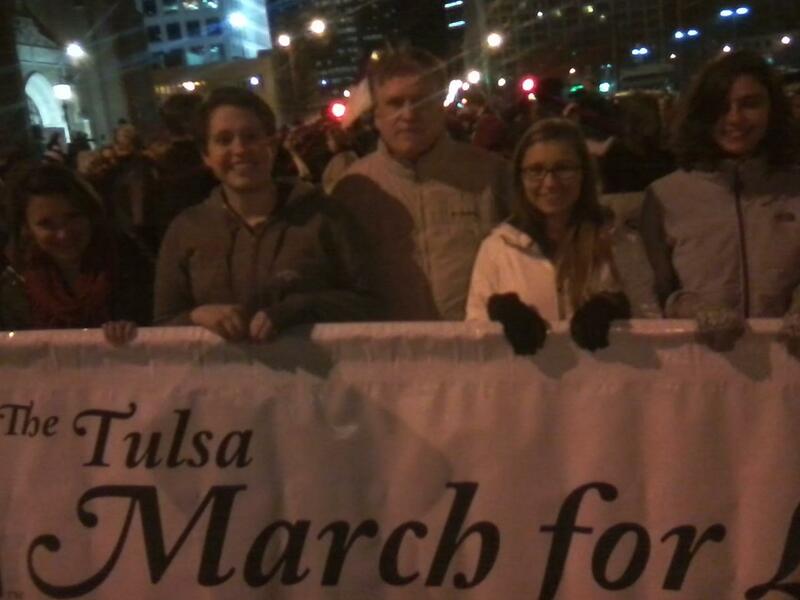 I attended the Tulsa March for Life on Thursday, January 22, 2015 held in downtown Tulsa in conjunction with the National March for Life held on the same day in Washington DC. The crowd was estimated at about 800 people of all ages and denominations. The march began at Holy Family Cathedral with words and a prayer from Roman Catholic Bishop Edward Slattery. The march ended at Centennial Park where former State Rep. Rebecca Hamilton gave her testimony of changing from an avid abortion supporter to a pro-life Christian. I was encouraged by the words of Rebecca Hamilton and I was thankful for the Catholic Church for organizing this event and for championing this cause. However, I was discouraged at the low turn-out for this event, especially from evangelical churches like my own. I will do my best to attend this event next year and encourage others to attend with me.